NEM Hawks, Warrington Wolves, Shropshire and Nottingham A qualified for the boys’ Under-19 play-offs from the North League. Oly Cats1, Carshalton Titans, Poole Phoenix and Ealing secured their places from South League 1. 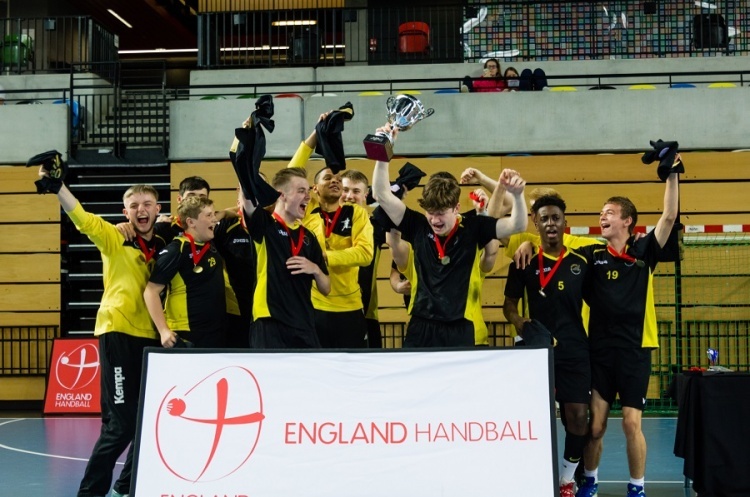 Defending boys’ under-19 champions NEM Hawks finished the group stages unbeaten with close victories over Nottingham A and Shropshire in the final round of matches. Hawks edged past Nottingham 12-11, while they beat Shropshire 15-12. Shropshire showed great spirit in a second half after trailing by six goals at the end of the first half. However, the strength and experience of Hawks saw them hold firm. Shropshire, who finish the group stages in third, lost their other match, against second-place Warrington Wolves 7-19. Wolves beat bottom side Deva 21-10. Deva also lost to Nottingham A 15-18. Nottingham A end the group stages in fourth. Oly Cats1 topped the boys’ South 1 league table as they also remained unbeaten, although they were held to a 20-20 draw in a nail-biter against Poole Phoenix. Oly Cats won their other match against Hackney GD 26-24 in another close-fought contest. Last year’s beaten finalists Carshalton Titans beat Ealing 22-21 and Poole 20-17 to finish second. Despite the two defeats Poole end the South 1 games in third. Ealing secured fourth, ahead of Hackney on goal difference, while Somerset Spartans were bottom. Elsewhere, Cambridge topped the boys’ South League 2 table, finishing above Bideford on goal difference. Cambridge beat fourth-place Olympia 26-16. Olympia also lost 8-16 to Stroud, the win confirming third spot for Stroud. Bideford secured second spot with a convincing 30-5 win against Brighton, and the award of a 10-0 win against bottom side London Lions who forfeited their match.